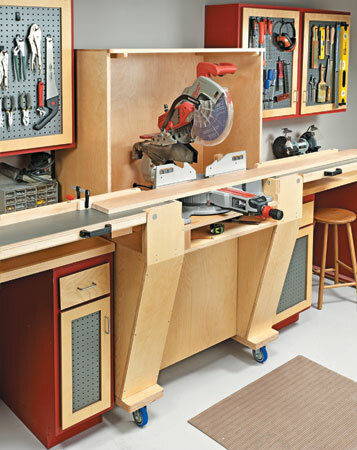 These days, we use quite a bit of plywood for furniture and shop projects. But there are always odd-sized pieces left over, and these cutoffs can take up a lot of space. 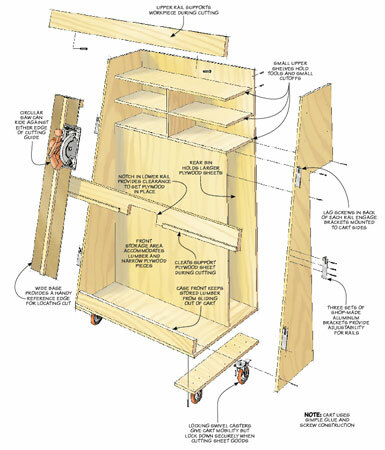 One solution is this lumber storage cart. 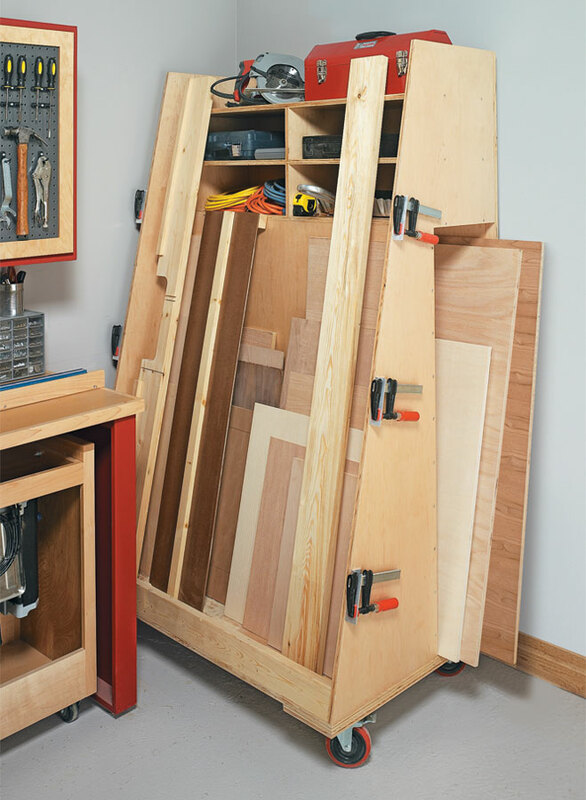 This space-saving cart is divided into three storage areas. 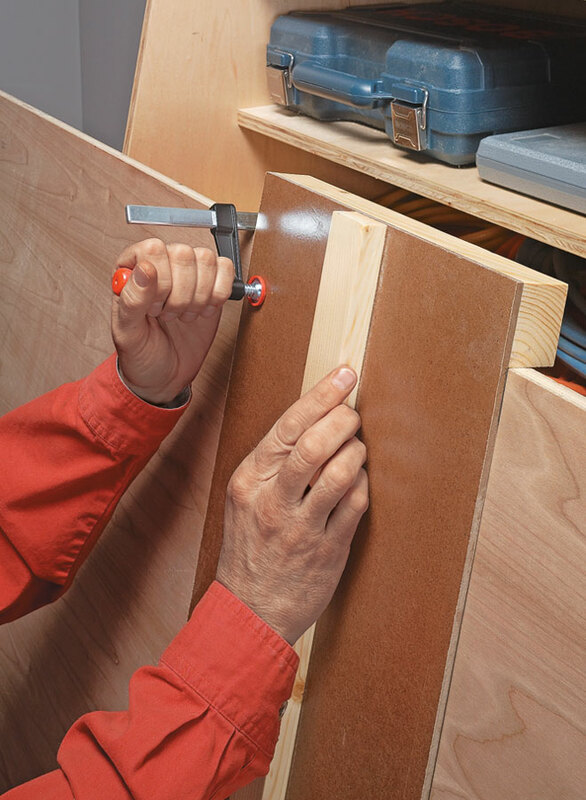 So now you can store excess plywood and lumber and find it easily when you want to use it. 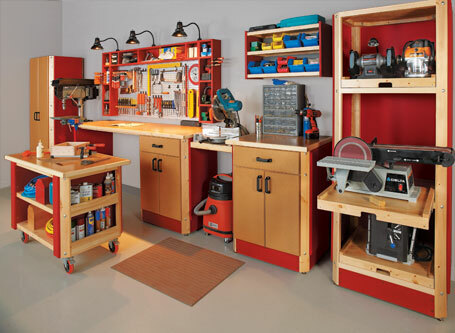 There are even a few shelves for storing tools and other accessories. 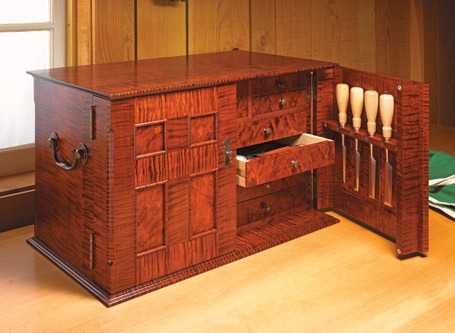 But there’s more to this cart than just storage. 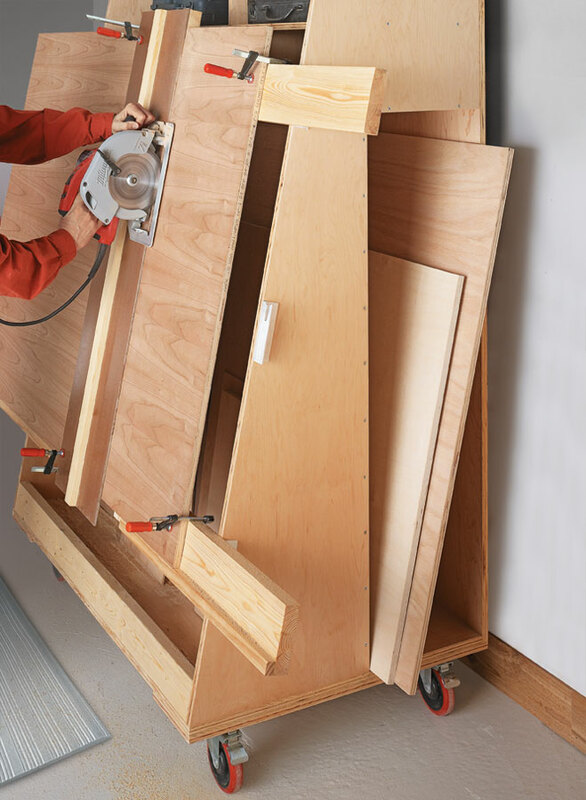 There’s an easy-to-use cutting system that makes breaking down plywood panels with a circular saw a much easier task.